1975. The Literary Press Group started as a project of the Independent Publishers Association (later re-named the Association of Canadian Publishers). The goal: to further the promotion of Canadian publishers producing primarily literary works, and to focus Canadian public policy on the need to support such publishers. The Book Bus was a revamped school bus that carried the LPG members' books from coast to coast to coast, selling them at roadsides and in town squares to anyone who showed the slightest interest in Canadian literature. From 1979 to 1981, Cloudland took place as a joint direct-mail fulfillment service – getting books to readers by mail order. A Canada Council grant assisted production and mailing of subscriber flyers and catalogues. Personnel were hired to handle shipping and marketing. In the next phase of Cloudland, prominent independent bookstores partnered with the Literary Press Group by stocking new titles in the subscriber flyer, and publisher's backlist in the catalogue. This change resulted from the need to build a strong and mutually respectful relationship with booksellers in Canada. 1979. The Literary Press Group conducted a bookseller survey to determine Canadian booksellers' needs in terms of the creation, presentation, and sale of literary works. Using the data, members put more emphasis on book design, and diversified their lists into genres of fiction, drama and non-fiction. 1983. With Canada Council for the Arts funding, the Literary Press Group hired regional sales representatives across Canada to visit bookstores twice a year. 1984-1985. With support from the Ontario Arts Council, the Literary Press Group published Select Literary Books, a mini-catalogue of new books from LPG publishers, sent to the Cloudland bookstores, and to 27 other booksellers. 1985. With support from the Ontario Arts Council, the Literary Press Group launched the Writer's Choice campaign. A jury of three Canadian writers picked nine titles from among those submitted by member publishers. These titles were then marketed nationally at a 50% discount, along with supporting in-store marketing merchandise, advertising, and promotions support. The campaign's success gave the Literary Press Group more inroads into national bookstores and the media. Writer's Choice repeated in 1987. However, all these projects taught a valuable lesson: the need to centralize physical distribution. 1985. The Literary Press Group investigated a joint distribution arrangement for some of its members. After two years of research, and with the support of Canada Council, the Department of Communications, the board developed a list of interested publishers and found a distributor (University of Toronto Press). July 1987. University of Toronto Press began shipping the publishers' books. The Distribution Project was the most successful LPG project at the time, as it resulted in a substantial sales and customer base increase. In 1992, this joint distribution arrangement was moved from UTP to General Publishing (now called General Distribution Services). June 1988. To support the new joint distribution efforts, the Literary Press Group launched its Sales Force Project. With the support of the Canada Council, the Department of Communications, the Ontario Arts Council and two other provinces, the commissioned representatives covered the major market sectors of Greater Toronto, Vancouver, and later all over Canada part-time, steadily moving to full-time in the larger markets. The Literary Press Group also attended book fairs across Canada, and produced a flyer bound into an issue of Canadian Bookseller. 1989. The Literary Press Group began to offer publicity services, with a bi-monthly promotions newsletter to inform booksellers about member publishers’ promotional plans. The LPG enhanced the Sales Force Project with a United States sales initiative, with the support of Association for the Export of Canadian Books. 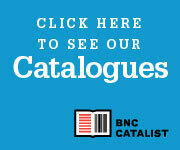 A new U.S. market catalogue was mailed to over 5,000 bookstores, libraries and media. The LPG negotiated a co-operative agreement for sales representation and distribution with InBook/LPC Group. The initiative ended in 1997, but several members used this experience to establish individual agreements for U.S. representation and distribution. 1992-1994. A secondary schools initiative introduced high school English teachers to member-published Canadian books in a series of seminars. A similar initiative ran for the university and college market in 1992. In 1994, Irwin Publishing took on academic sales representation. Although the collective agreement ended in 1997, many members continue their agreements with Irwin. 1993. With assistance from the Department of Canadian Heritage, the LPG began an advertising project to offer subsidized ad rates for media placement. In 1999, the advertising project was integrated into the new Sales and Marketing Project. 1993 and 1994. The LPG ran book campaign MiddleMarch, on March 15. 1995. In recognition of its emerging status as one of the larger Canadian book marketing agencies, the LPG incorporated under the auspices of Industry Canada as an independent organization. However, the LPG has always remained true to its initial impetus — to make Canadian-authored literary works the first priority of programs designed to support the Canadian book industry. The LPG works with other industry associations, especially the Association of Canadian Publishers, in advancing its advocacy objectives. 1998. The Literary Press Group hired a full-time publicist to handle co-operative projects for all members. 1999. The LPG organized its first national Poetry Marathon during National Poetry Month. 1999. The sales force attained full-time employee status in recognition of the fact that the marketplace for books was rapidly diversifying beyond what is still considered "the traditional book market," and in recognition of the increasing centralization of buying authorities at chain stores. This shift has been forecast as the future for the book trade in North America, and the Literary Press Group proved itself flexible and focused enough to remain an industry leader in its adaptation to an evolving marketplace. 2000. The LPG organized its first Stage to Page celebration of drama titles during World Theatre Day. 2000 – 2012. Along with the continued success of its Ad project and Sales and Marketing Project, the Literary Press Group’s sister concern, LitDistCo was founded in 2003, to handle centralized distribution of publishers’ titles. Since then, the Literary Press Group staff has conducted several marketing projects like 2005's Joy to Read campaign, and 2008's Fiery First Fiction campaign. 2012 – Present. In the summer of 2012 the LPG re-evaluated its core services after briefly losing a portion of its funding. Since that time a new strategic plan has been developed and implemented, seeing widespread changes to the organization. No longer offering in-house sales representation, the Literary Press Group teamed up with the Canadian Manda Group to continue having our publishers' books sold into the Canadian trade market. A full-scale professional development program has been mounted, including webinars, in-person seminars, and curated industry news. In addition to amping up the Marketing Project to include more appearances at festivals and trade shows and online reader engagement, the Literary Press Group launched a webstore, AllLitUp.ca, in June 2014 catering to Canadian literary lovers who may not have an indie in their neighbourhood. There are many points to this story. Perhaps the most important is that the LPG has always been extremely market-sensitive and market-driven within its editorial parameters – Canadian poetry, fiction, drama and creative non-fiction. The LPG remains committed to "sales" without "selling out." There probably is not, in Canada, any association of cultural producers that has tried as many marketplace oriented projects for its members, has enjoyed the success that the distribution, marketing and sales force projects have delivered to its members, and that continues to be innovative in and anticipatory of the evolving intellectual marketplace in Canada. This dual commitment to both the literary quality of its members' books, and the importance of servicing the marketplace needs, have produced spectacular successes for the Literary Press Group.